So, thanks go out to Antoine who organised a nine bottle flight of bottles direct from the Chateau all in perfect shape. It was fascinating speaking with him earlier in the evening about the process of reconditioning which takes place for library stock; the 1990 vintage Leoville Lascases we were going to taste had been prepared in August, the corks were all removed, the wine tasted, and topped back up with a good example from the lot, then re-corked and capped. We opened and tasted all the wines an hour pre-tasting. Antoine’s approach to this was studious – most were double decanted back into the bottle to aerate them, the 2003 Las Cases for instance was fresh but relaxed so didn’t need it, he was less concerned about a little sediment than the individual bottles immediate expression for the evening’s tasting. We started with Chateau Nenin, one of Pomerol’s largest vineyards at over 30 hectares, located on the Pomerol Plateau, neighbouring Chateaux Le Pin and Trotanoy. Modestly priced in Pomerol terms, the 2006 showed off its approachability with plenty of generous but clean, fresh fruit, with solid structure, length and balance. In a good place right now and for many years ahead. The notably value-driven Chateau Potensac followed. 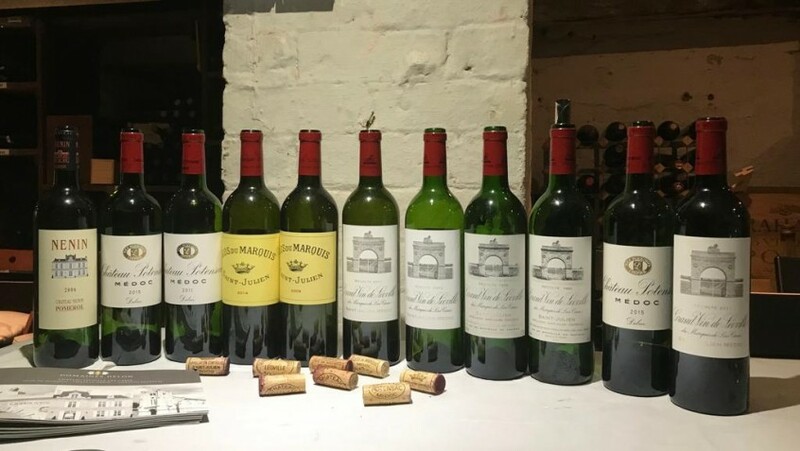 The two vintages showed off the evolution over four years, the stylistic difference between the ‘Solar’ vintage style of 2015 with crunchy expressive fruit and the milder complex approach of the 2011 which with its higher proportion of Merlot was melding together nicely, still needing a couple more years perhaps, but already very drinkable. Antoine pointed out that 2011’s had been in the shadow of 2010 and still were to some degree, but were emerging beautifully. This was one of warmest of recent years along with 2003, 2006 and the soon to be revealed 2018 (could be a cracker). The Clos de Marquis was adroitly confirmed as its own master, definitely not the second wine of its more famous sibling Leoville Lascases. This was previously recognised as one of the first of the so-called second wines but the nature of these wines is quite different nowadays; rather than farming off the slightly inferior vats of younger vines or percentages of grape varieties which were not as suitable to that year’s climatic calendar into a separate Cuvee, the Clos de Marquis is a completely separate vineyard with quite different terroir. There was a noticeable jump in quality here for me, the 2014 showed impressive aromatics, a really classic Saint Julien nose. The palate was firm still but this wine had a lovely shape, lean and poised to become a very stylish Bordeaux wine. It needs three to five years more bottle age. 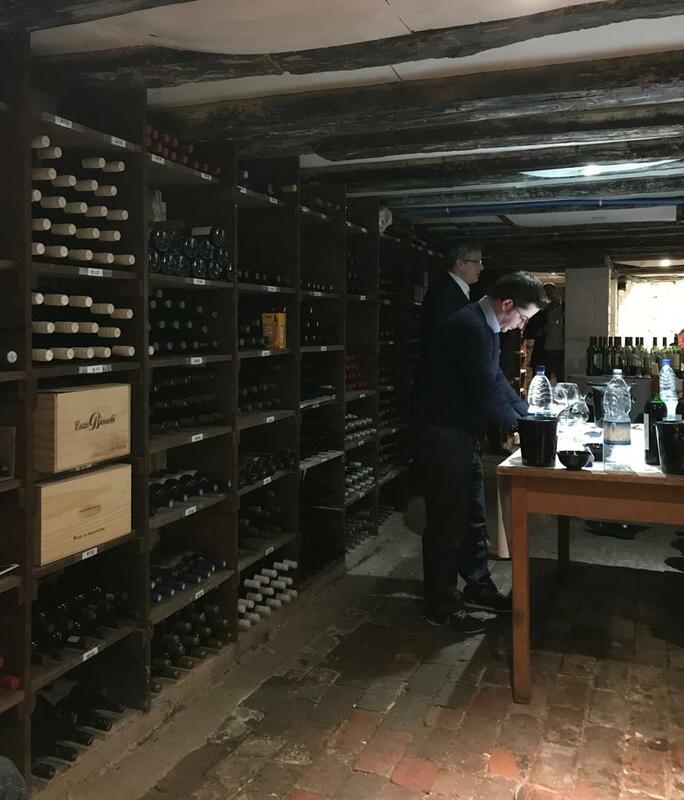 The 2014 vintage is set to be one of the best value vintages in recent years, it doesn’t have the flamboyance of the renowned vintages but those who paid the very reasonable, original en primeur prices will be very happy when they open their bottles. The 2009 was not surprisingly: more giving, supple, energetic, silky, generous and elegant. Yes I liked it! Ready to go now with a robust meal, but has so much more to come. On the showing of both these vintages I think this property is definitely worth pursuing more closely. It was interesting to taste another 2011, and I think there were similarities in the slightly shy but competent style of both wines. Plenty of layering on show, this was sleek and pure, with youthful freshness, charm and expressive minerality on the lingering finish. Antoine pointed out on several occasions that the Delon style is to elevate with care and delicacy, they are not looking for big extraction or to bring anything out extra to what is naturally on offer, from the vineyards or the vintage, certainly not to win the plaudits of the influential. This is apparent in the relatively low alcohol levels, rarely above 13.5% at Las Cases (though 2018 looks to be nearer 14% or above). A question from the audience stole my thought, that perhaps the art has been to pick earlier, like the trend has been in Burgundy and more recently in Bordeaux amongst some of the more successful producers, but Antoine maintained that this was just driven by the specific terroir at these properties. The 2003 had, as may be expected from a super hot year, its shirt open. It was generous and seamlessly silky. The fruit on the nose was clean with hints of kirsch, but verging on slightly stewed riper notes. In the range it was perhaps the least composed on the night. I do wonder if it may have benefitted from decanting after all. The 1996 was the star of the evening, even armed with knowledge of its reputation you couldn’t not be impressed by this baby. And it was still youthful at over twenty one. Yes this is ready to drink and as much as you can get your hands on but this is a wine that will improve yet. There were similarly riper red fruit notes which came through in all the Lascases wines, but here were dark berry fruits too, with crystalline purity, and so much complexity, changing amazingly quickly in the glass. The palate showed little trace of tannin now but with the fresh acidity it carried through into a long beguiling finish. The 1990 had its work cut out after the 1996 and certainly on the first whiff it looked a little defeated, with lots of old leather and cafe and even a hint of farmyard, this appeared quite mature. But with plenty of coaxing it significantly improved, and the freshness on the palate inspired a good fight. Lots of complexity and sweet Merlot fruit gave a feeling of lush almost Port-like sensations. I think there is still a lot to offer here particularly if you enjoy the mature characteristics of aged Bordeaux. I am pretty sure I have one bottle of this left in my cellar, I will wait for a cold winters day and pop it by the fireside with a good soft Brie or Camembert.